Right from 1914 when British colonial explorers/merchants tricked the three divergent ethnic nationalities within the West African sub-region and forcefully merged them into one dysfunctional entity called Nigeria, there has been several unprecedented atrocities committed against the people. These heinous onslaughts which have been orchestrated by the Fulani oligarchical overlords within the Nigeria federation, are exceptionally mind boggling and despicable. And in retaining political powers officially handed over to them by the British government in the year 1960, the Fulani controlled Nigerian government has very proudly and defiantly committed varying degrees of crimes against the interest of international community. The continued opposition of the Nigerian government to legitimate/voracious determination of the Indigenous People of Biafra (IPOB) globally, on the quest for the restoration of the sovereign nation of Biafra, attests to the fact that the Fulani Islamic rulers of Nigeria are determined in their ridicule of existing international laws and protocols governing self-determination. They have absolutely no respect for global treaties created by the United Nations which Nigeria herself, is voluntarily, a signatory to. However, the height of wickedness attained by this Fulanised enclave called Nigeria is their criminality in contracting a Sudanese agriculturalist impostor formerly based in Saudi Arabia, to fearlessly impersonate the deceased Nigerian President, Muhammadu Buhari. The Fulani Caliphate, has surreptitiously continued making mockery of the sensitivity and intelligence of world leaders by successfully parading the impostor in various major global events without being dictated for impersonation. Recall that this Sudanese infiltrator had beguiled the world by claiming to be Muhammadu Buhari both in 2017 and 2018 during United Nations General Assembly in New York where the podium was left to him to address the world even as the Buhari. This same Sudanese was given the honor to address the global community as the Nigerian President during the 20th Anniversary of Adoption of Rome Statute by the International Criminal Court in the Hague, Netherlands earlier this year. With the array of these evils laid bare, when exactly will the leaders of the global community stamp their authority against these disparaging intrigues, disrespect and manipulation of the Nigerian based Fulani oligarchy? One could not just imagine the temerity of this Sudanese impersonating the late Buhari, to visit the White House on the invitation of President Donald John Trump of the United States of America. Can it be that the whole world was so cheaply deceived into believing that the smartest set of humans on earth is traceable to the Fulani Caliphate and their British slavemasters? Evidences abound, clinically proving that President Muhammadu Buhari, a retired army general is dead and buried in a shallow grave without even military honors, in far away Saudi Arabia. For weeks now, the very supreme leader of the Indigenous People of Biafra (IPOB) worldwide, Mazi Nnamdi Kanu, from the holy land of the nation of Israel, has tenaciously been reeling out substantial proofs as gathered by IPOB tripartite intelligence, buttressing the death, criminal concealment of the burial of Buhari in foreign lands and the contraction of a Sudanese agriculturalist impostor, formerly residing in Saudi Arabia. (2) IPOB gallant, vibrant and courageous journalists. (3) IPOB indomitable cyber warriors. 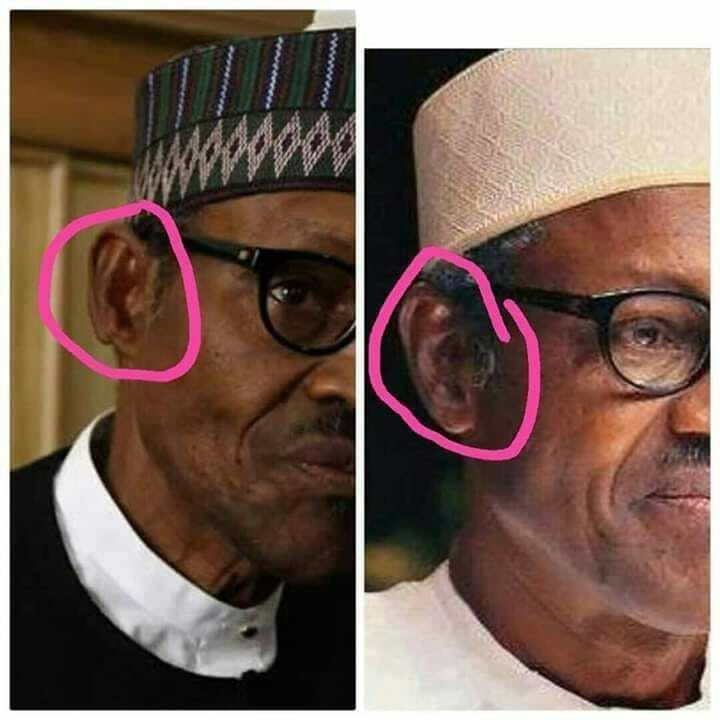 Presently, the IPOB medical/laboratory department has been drafted and added to the IPOB intelligence to facilitate the analysis of the DNA of the impostor and that of the late Nigerian President, Muhammadu Buhari which may likely be the next line of action in the series of unmasking the Sudanese. Reliable information reaching Family Writers Press has it that the DNA analysis of the impostor called Jubrin Aminu Al-Sudani and that of late Buhari, have been completed with all relevant documents duly handed over to the leader of the Indigenous People of Biafra (IPOB) worldwide, Mazi Nnamdi Kanu. The report therefore is awaiting the choice date of the IPOB leader for live television broadcast. Why then are the world leaders maintaining sealed lips on this colossal fraud being perpetrated against the people in this 21st century, by these Fulani Islamic vampires and despots in Nigeria? Can it also be said that the Fulani oligarchy has conquered the global community to the point that not even one world leader is courageous enough to challenge this seeming endemic evil that is bluntly staring humanity in the face? With this disappointing development in Nigeria, it is correct to say that the cup of evil in the hands of the Nigerian government is full and over. Let the world therefore find it expedient to compel Nigeria through available diplomatic corridors to expel the Sudanese impostor back to his country and officially announce the death of President Muhammadu Buhari. The planned 2019 general election should be cancelled and in it's place, organise and conduct regional referenda to clearly ascertain all those who wish to carry on with Nigeria. But as for Biafrans, the decision has unanimously and irrefutably been made about the unfettered restoration of the sovereignty of their fatherland, Biafra. The fraud called Nigeria, all she represents and her Sudanese impostor have all been totally rejected. Yes, I agree that the global powers must intervene because Nigerians will not because they are cowards and afraid of Fulani. However, the IPOB leadership must take this matter of an imposter and monumental deception and fraud seriously before the global powers to negotiate Biafra exit from this murderous Fulani Islamic republic of Nigeria. The imposition of an illiterate Sudanese, a foreigner that Nigerians did not vote for is an abomination that must be punished. The Jubrl must go to prison, and all those who are part of this satanic plot to deceive 180 millions Nigerians and some Biafrans. Nigeria is a curse and abomination - a scam, fraud and most useless country on the face of this planet. It must be allowed to continue to exist.